Location is great. You are in 2 minutes at the lake. There are nice restaurants in the near. It was clean. People are friendly. We found everything in the kitchen to make our breakfast. For two nights it was good. Big space. balcony. The bed sheets, blankets and plenty of towels. Very Clean and comfortable, easy check in, and check out, perfect location. Quiet, fairly well stocked kitchen. Nice appartment for a family. Equipped kitchen. No breakfast or food service. Close to the beach. Sub-tropical vegetation. Apartman but you can use the facilities of the hotel (with extra pay). It was cheaper than the reservation. Beds were comfortable. Staff great. Location great close to lake and restaurants. Although the decoration of the room wasn't very nice, the room itself was big and clean. Great location, very close to the beach and the main street. The apartment was immaculate and the location was fantastic. This was a 2 night stopover point on our journey and was great. It was a bit bigger than we had expected and would be great for longer stays too. The apartment was for just us two but could easily fit a family or larger group. Ideal location for getting to the lakeside as well as for shopping and eating out. Enjoy the independence of self-catering accommodations at the Spiaggia Residence, just 150 feet from the beach and 0.6 mi from the center of Riva del Garda. 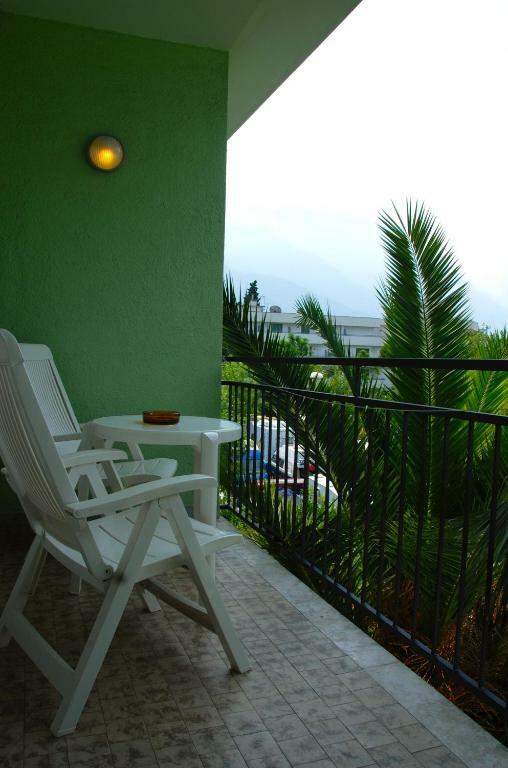 Each apartment is modern and comfortable and has a private balcony and its own parking space. Your apartment is complete with a kitchenette, and towels and bed linen are included. There is a convenient depot for mountain bikes and windsurf equipment. Limone sul Garda is a 15-minute drive from Spiaggia Residence, Arco is 3.7 mi away. 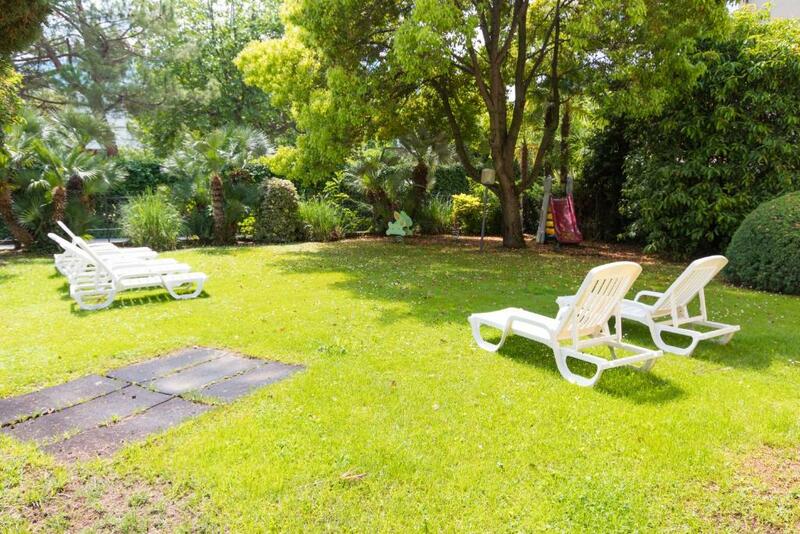 뀐 Located in the top-rated area in Riva del Garda, this property has an excellent location score of 9.1! 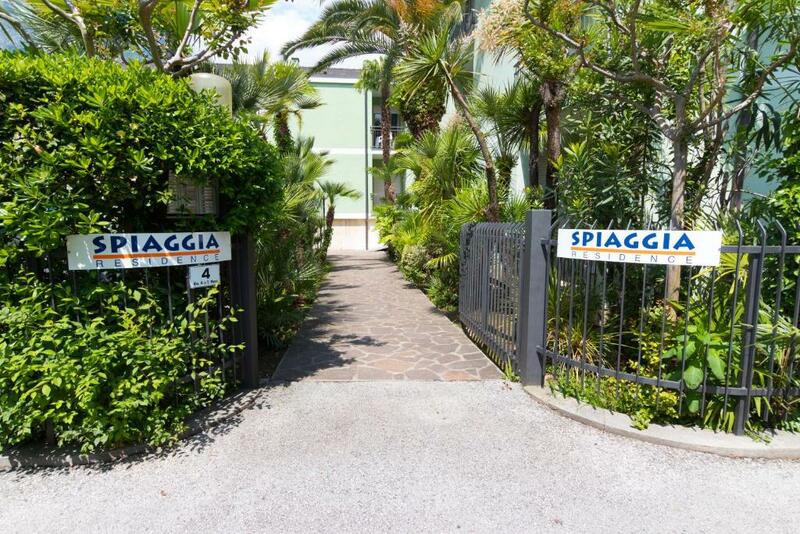 When would you like to stay at Spiaggia Residence? Features a living room with a dining area and a sofa bed suitable for 2 people, a kitchenette, a bathroom with shower and a balcony. Final cleaning of the apartment is included in the price. Guests are required to wash all dishes and take out the rubbish. A daily-cleaning service and laundry are available at an additional cost. Features a bedroom with 2 single beds, a living room with a sofa bed suitable for 2 people, a kitchenette, a bathroom, and a balcony. Features a twin bedroom, a separate bedroom with bunk beds, and a living room with a sofa bed. There is also a kitchenette, a bathroom, and a balcony. House Rules Spiaggia Residence takes special requests – add in the next step! Spiaggia Residence accepts these cards and reserves the right to temporarily hold an amount prior to arrival. In case of early departure the property will charge the full reservation amount. Please note that check-in and key collection take place at: Lake Front Hotel Mirage, Viale Rovereto 99, Riva del Garda 38066. So noisy neighbors... And because the hotel who owns the apartments is down the road (also where you get the key) there is no supervision. I wrote and called the hotel, so they could get the noise under control, but got no answer. So alot of noise and uncomfortable beds. We are happy we only booked for one night. Fine room for the cheap price. Great location. Parking lot was very full. The (too) early check out. Good central location & close to the lake. Reception is 1/2 km away. This should be taken in consideration. Better just inform. The walls were a little thin and a guest - assuming hotel employee - was in our room at 7am. I don’t know why. She apologized later in the morning but it was awkward. Really good location. Very clean.